PEARL, MS -- The Mississippi Braves concluded regular-season play with a 4-1 loss to the Biloxi Shuckers on Labor Day at Trustmark Park. The Braves had already secured a spot in the playoffs as the wild card team but still needed a win or a Pensacola loss to clinch the second half South Division title on Monday. Unfortunately, the Braves loss and the Blue Wahoos defeated Birmingham. With Pensacola's win, the Wahoos secured the second half title to go with their first half title. As a result of winning both halves, the wild card spot in the playoffs is awarded to the team with the second-best overall record which the M-Braves clinched earlier in the weekend. The M-Braves conclude the regular season with an overall record of 73-65. Post-season play begins Wednesday at 6:30 PM in Pensacola. 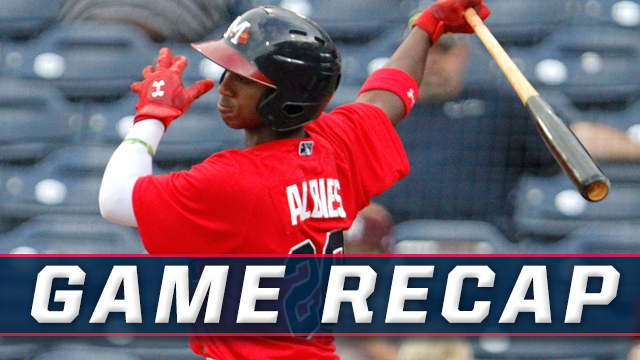 The Braves battle the Blue Wahoos in the best-of-five-game Southern League Division Series. Games one and two are at Pensacola. The teams return to Trustmark Park Friday for game three and Saturday for game four (if necessary). If necessary, game five would be played back at Pensacola Sunday afternoon. Mississippi took a 1-0 lead in the first. Ozzie Albies reached on a ground-rule double and then scored on a Dustin Peterson base hit to center field. The Shuckers responded in the second. Tyrone Taylor doubled and scored on a Clint Coulter single to right field, tying the game at 1-1. Johnny Davis tripled and scored on an Angel Ortega double in the third to put the Shuckers out front 2-1. In the fifth, Davis and Ortega both singled and swiped a bag. Dustin DeMuth then walked to load the bases with one out. Jacob Nottingham followed with a sacrifice fly to right, plating Davis and extending the Shuckers lead to 3-1. Biloxi tacked on another run in the ninth. Javier Betancourt reached on an error and moved to second on a ground out. He then came in to score on Ortega's single to right, making it a 4-1 game. Jorge Lopez (2-4) picked up the win, holding the Braves to one earned run on four hits while striking out seven. Angel Ventura (S, 1) worked the final three innings to pick up the save. Lucas Sims (5-5) gave up two earned runs on five hits in three innings of work. He struck out five and suffered the loss. Evan Phillips worked two frames in relief. Phillip Pfeifer, Caleb Dirks and David Peterson finished out the game on the hill for the Braves.